You have worked hard, raised a family, saved money, made smart decisions and taken calculated risks. You want to ensure that as you approach the next stage of your life's journey you'll have the confidence that comes from knowing that your wealth strategy is aligned with that which matters most to you. You value working with a team committed to proactive communication, thoughtful advice and courage-driven leadership to help you deal with sometimes difficult choices. The Kluge Wealth Advisory Group seeks to simplify complex wealth planning matters for high net worth families by building and maintaining risk-managed wealth strategy plans aligned to their values and vision for the future. Your Wealth Road Map goes beyond portfolio management and investment advice to encompass rediscovery of personal values and goals, retirement income planning, financial planning and gain-maximization strategies. : In addition, we work closely with TD specialists to integrate business succession, cross border tax planning strategies, philanthropy and estate planning strategies. Act with Integrity: Integrity is much more than simple honesty. To us it is an ongoing choice to become more consistent in our actions, words, methods and principles. Nurture Relationships: A relationship is an organic system that needs to be cared for, developed and expanded upon over time. Engage in Meaningful Work: We look to make a positive overall contribution to our clients' well being and by extension, the well being of those most important to them. Conrad Kluge joined TD Wealth Private Investment Advice in 2008 following six years' investment industry experience in capital markets and private wealth management roles. Conrad graduated with academic distinction from the University of Victoria in 2001. He is committed to honing his skills through education and has earned the Chartered Financial Analyst® and Certified Financial Planner® designations. In addition, Conrad has completed numerous industry courses including the Professional Financial Planning Course and Investment Management Techniques. Conrad and his wife Sara are the proud parents of their daughter Hayden and son Parker who keep them both very busy. Time permitting, Conrad enjoys cooking and the great outdoors; favorite activities include CrossFit, biking, running and downhill skiing. Kluge Wealth Advisory Group is a part of TD Wealth Private Investment Advice, a division of TD Waterhouse Canada Inc. which is a subsidiary of The Toronto-Dominion Bank. Kyle manages client relationships, performs numerous advisory services and acts as a problem-solver. 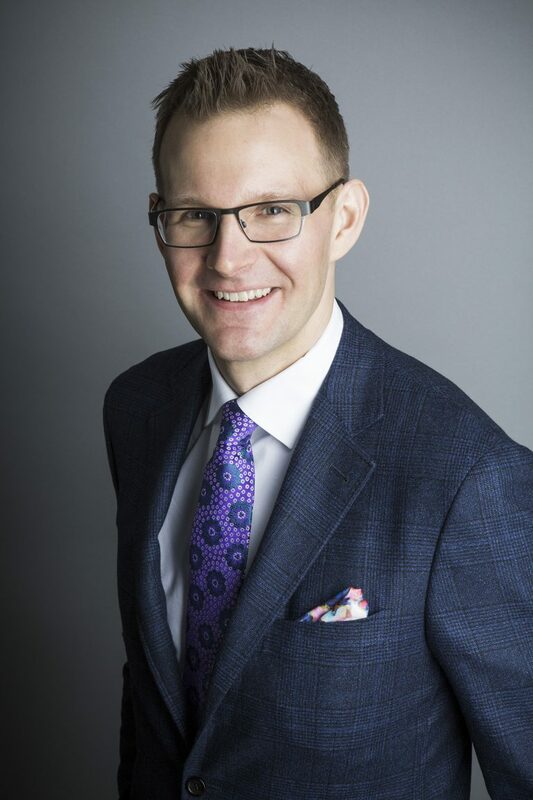 He is a graduate of Mount Royal University, has received his Chartered Investment Manager (CIM®) designation and working towards the Chartered Financial Analyst (CFA®) designation. Kyle is a sports fanatic – he plays hockey, baseball and golf, snowboards and hikes the Kananaskis area as often as possible. Ashley joined TD Bank Group in 2004 and our team in 2012. With the Canadian Securities Institute’s Wealth Management Essentials Course under her belt, she manages client relationships and performs numerous advisory services. Ashley and her husband recently welcomed a baby daughter. When she can squeeze in some personal time, she enjoys yoga, spinning, cooking, and soaking up the great outdoors.